This .357 SIG ammunition from Federal is an excellent practice load for your P229, Glock 31, or other handgun. 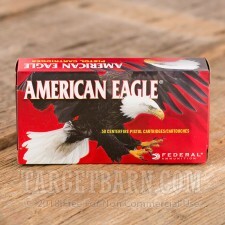 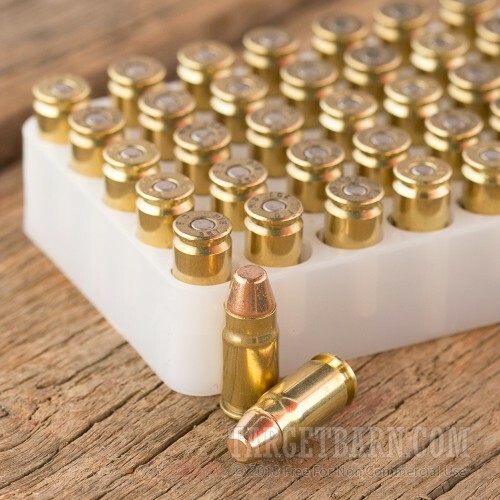 Each cartridge in this box of 50 fires a 125 grain full metal jacket bullet at a muzzle velocity of 1,350 feet per second, delivering the excellent flat-shooting trajectories and realistic recoil profile of the .357 SIG. 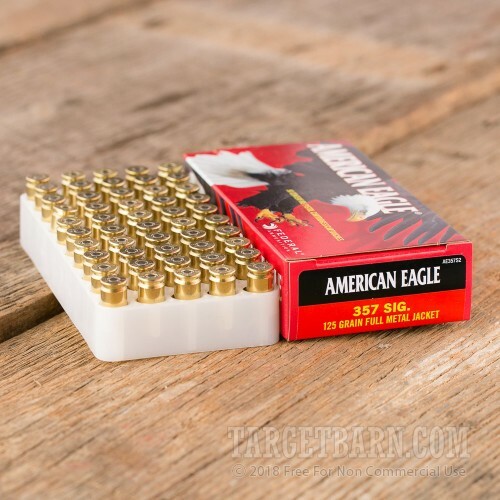 These cartridges are loaded in Anoka, Minnesota using non-corrosive Boxer primers and reloadable brass cases.